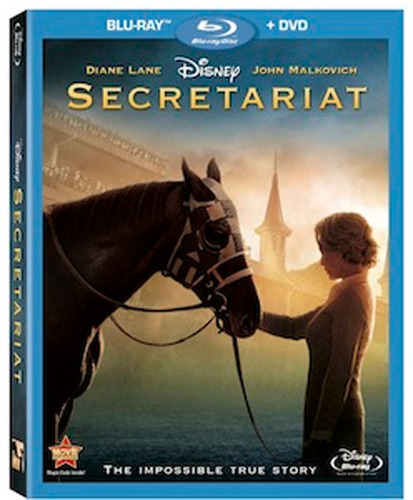 Disney’s amazing [kwlink ]Secretariat[/kwlink] movie is being released on Blu-Ray and DVD on January 25! We love this horse-powered film, which tells the true story of the Triple Crown winner and maybe, just maybe, the world’s greatest racehorse – and so will you! You’ll definitely find yourself cheering Secretariat on as he gallops his way to the finish line in this movie. 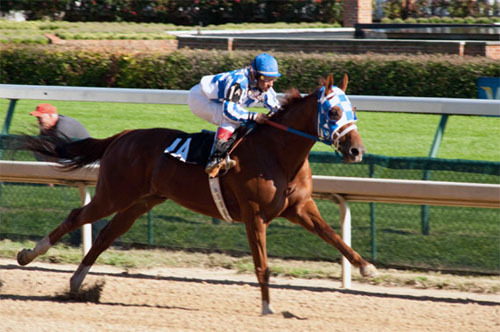 While the horse was never really an underdog himself, the woman who took a gamble on him – a housewife named Penny Chenery Tweedy (played by Diane Lane) sure was – and that makes for a pretty inspiring story! When Penny’s mother dies, she leaves behind the family’s horse farm, which includes two mares pregnant by Bold Ruler, a champion stallion owned by the world’s richest man. A coin toss decides who keeps which unborn foal. Going on a gut feeling that her horse is going to be special, Penny hires a trainer and they watch as the huge colt is born and clambers to his feet. Penny spends the next years as the owner of Secretariat, who turns out to be one of the greatest racehorses of all time. Choreographing The Races: How the filmmakers used technology to accurately and excitingly recreate the Triple Crown races. A Director’s Inspiration: A Conversation With The Real Penny Chenery: Penny reflects on what it was like to have been a woman in a male-dominated sport and to have been part of horse racing’s most exciting moments in history. Secretariat Multi-Angle Simulation: Relive Secretariat’s triumphant 1973 Preakness race by viewing the race from a number of perspectives as well as listening to commentaries from fans, announcers and even the jockey who rode Secretariat to their record finish. Heart Of A Champion: A look at one of the most famous thoroughbred horses ever known. Read about Inspirational Coaches in Sports History!